Acne is puzzling…one day it just comes and takes you to a world of misery and loss of self-confidence for what seems like eternity. What if you’re not a teenager anymore? 20’s, 30’s, 40’s and it’s here! Mirror, mirror on the wall, oh why is this happening to me? Why am I the special one that gets all those foreign spots? Where’s my beautiful, soft, clear, porcelain complexion that I had a year ago? Or 5 years ago? Or even 10? Okay, all questions aside, let’s just dive in, shall we? 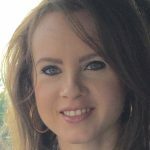 Acne is not just a teenage problem- grown adults are experiencing this persistent skin problem that seems to spread all over and doesn’t seem to heal no matter what recommendations the new dermatologist you see tells you (which entails the meds + topicals). You’ve tried all the latest and breakthrough skin care products and your medicine cabinet can’t seem to hold anymore items. You’ve tried eating healthier and leaner foods, but alas, acne is still there! So, what’s really happening here? Truth is, acne can be different for everyone- some individuals may need to incorporate specific vitamins/ supplement rich foods and acne will gradually clear away because the internal organs are missing some absent nutrients. 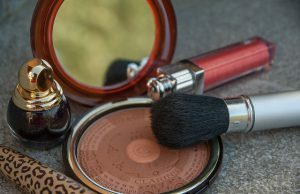 On the other hand, some individuals, especially women may be using harsh skin care/makeup cosmetics that are loaded with carcinogenic ingredients- just by switching to something more natural and less abrasive- skin will clear up. For others, it could be as simple as a food allergy(s) – by eliminating something like dairy, gluten, nuts (the basic food allergens listed on every packed food item) – acne clears up. Alright, so what if you tried all the above and still plagued by those pesky “new” spots that pop each morning with no end in sight. Hormone Imbalance + Inflammation = Toxic Liver, is what gives. All this equates to your liver working overtime to get rid of the toxic overload from food/environmental factors & excess hormones, but can’t seem to finally off load, which in turn pops up on the skin in a form of acne, since it has nowhere else to go. Let’s dissect hormone imbalance and inflammation to see what’s really going on and what you can do. Unfortunately, on some level or another, hormone imbalance is plaguing majority of women in our society in some form. Every month, the female hormones estrogen and progesterone are produced. When estrogen and progesterone levels do not balance, this leads to dramatic effect on your health- in this case, acne. Please always keep in mind, whatever messes with your hormones or misaligns them will EITHER produce acne OR provoke some internal health problems per the reproductive system. This is key information! The most prevalent issue among women in terms of hormonal imbalance is estrogen dominance. 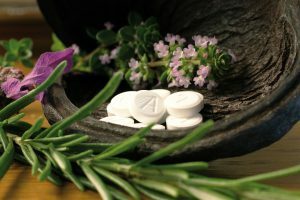 Although, the body could have more progesterone due to birth control contraceptives, but again, for the most likely scenario in terms of hormone imbalance, estrogen dominance is more likely the issue. But I’m a male and have acne! Males also experience estrogen dominance based mainly on foods consumed and the everyday grooming items that contain estrogen mimicking ingredients (parabens, phthalates, etc.). Estrogen dominance occurs when not enough progesterone/testosterone is produced in the body. Everything from the modern foods consumed to hormone mimicking skin care/makeup preservatives/ plastics. Let’s take a closer look. Most foods nowadays contain soy ingredient in some form or another. Soy contains phytoestrogens, which mimic human’s natural hormones and thus create a big imbalance from progesterone. Foods are cooked in soybean oil in many restaurants; packaged foods contain soy; soy is indefinitely everywhere these days. However, fermented soy is the safest variety to consume – such as soy sauce (in small amounts) and tempeh. Many people don’t know this, but majority of eggs that are on the market today (even the healthy, organic, cage free alternatives) contain soy because chickens are fed it, as their main source. Soy free eggs are more expensive, yes, but well worth the buy if you’re serious about your health since soy is linked to more serious health issues. Pesticides & herbicides are the other two major chemicals that disrupt the hormones (also, endocrine system, which controls growth and metabolism) and should be avoided when possible. Pesticides and herbicides are used to kill unwanted organisms in crops, public areas, homes and gardens, and parasites in medicine. We, as a society eat out a lot in various restaurants (from fast food to fine dining); therefore, keep in mind, that even the fanciest restaurant will not be serving all organic food (some do, but this is in terms of majority). So, balance your nutrition by eating healthier at home because even eating a salad from a fast food place at your lunch hour, still guarantees herbicides! When cooking at home, always try to purchase all organic foods- from produce to grass fed meats. Expensive, much? Yes, but one thing to note- all those sugary, spicy, cheesy snacks + soda drinks are NOT a necessity in households that majority of us have and purchase non-stop. Please stop purchasing all the unneeded junk food and spend the extra on organic foods that will make a difference in your health (and your skin) in the long run. This all may sound a bit frustrating since everything organic can be really costly for most families – but with all the new research coming out with how foods impact our health– this is alarming and shouldn’t be taken lightly since some of these studies are pointing to cancer risks. When plastic containers are heated through natural sunlight or microwaved, they release a toxic substance known as BPA, which is an industrial chemical that’s essentially a synthetic estrogen. Xenoestrogens raise estrogen levels at an alarming rate. Although, it’s not entirely safe to hold food in plastics because BPA could be leaching out even in the cold environment – try to avoid when you can. It’s almost impossible to cut plastics out completely, but try to avoid when possible and find replacements. Glass, stainless steel, silicone, and bamboo packaging are all hitting store shelves for your convenience and safety. In addition, those alternatives mentioned are very durable. Think about all the plastics purchased and thrown out- the alternatives save you money (and planet) in the long run. One of the most leading hormone disruptors among women – birth control contraceptives, in all forms! They contain synthetic forms of hormones and completely mess with your natural hormones creating unbalanced emotions, panic attacks and ACNE! Sounds kinda scary – knowing that something in such a small form can create a complete emotion wreck response! Interesting enough, some forms of birth control will actually control acne, but only when a woman stays on it. Once she goes off the pill- bam! Acne returns. Why? Because the pill controls your level of hormones and can balance them to a point and for a period of time. BC poses other scarier dangers aside from acne such as infertility, increased cervical & break cancer, liver tumors, yeast overgrowth, blood clots, gall bladder diseases, and increased risk of a heart attack. **Very important to note, high level of estrogen dominance doesn’t only equate to acne for some women & men. Serious health issues such as prostate, breast, ovarian, cervical, and uterus cancers have all been linked to estrogen dominance because all those organs mentioned are impacted by your natural hormones and if they become unbalanced, various health problems from small (thinning hair, fibrocystic breasts), to serious (infertility, PCOS, uterine fibroids, thyroid dysfunction, endometriosis, blood clots, cancer) come into play. Inflammation is the fuel of three major components – food allergens/ food sensitivities, yeast overgrowth and stress. There’s a difference between food allergies and food sensitivities. Food allergies are the most common type known and understood such as a peanut allergy that is serious and could potentially cause death. Dairy could cause stomach aches if one has an allergy toward it (lactose intolerance). Gluten allergy is linked to celiac disease and causes serious headaches, migraines, and hospitalization. Food sensitivities, on the other hand, are something that doesn’t pose an alarming threat to health, because it’s usually not a physical symptom of pain or discomfort. For example, an individual could have sensitivity toward citrus based produce, which in this case, cause acne. 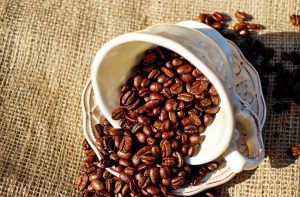 Others may experience sensitivity toward caffeine (in all forms- coffee, green tea/ black tea/ white tea, chocolate). Some have sensitivities to nuts (not just peanuts), which causes breakouts. Same goes for dairy. Best way to go about finding which foods you’re sensitive to, is to do a food allergy test through you doctor. Or you could simply eliminate certain foods from your diet for 2 weeks that you suspect could be triggering your breakouts and reintroduce them again to see if there’s an alarm for acne. I would suggest taking out one specific food each week, and then reintroducing. It may take a while, but results are worth noting. Sugar in all forms, including a diet high in carbs- bread, pasta, rice and the obvious- refined white + brown sugar, honey, maple syrup, etc. all spike the glycemic index, which turns to inflammation, that triggers acne outbreaks. High carb foods break down into sugar when digested, and as a result cause a spike in your blood levels. The rise in blood sugar prompt the body to produce insulin and growth hormone (IGF-1). The problem is when your body senses the rise in blood sugar, sebum (oil glands that encourage oily skin) secretes in your pores and promotes the bacteria that turns to pimples. Off topic, but sugar (refined white sugar in particular) is also a leading ingredient that feeds cancer cells and a lot of research has been done on this. So, start limiting or eliminating your sugar intake. It’s a fungus – microscopic organism that typically lives harmlessly in people. However, if your inner ecosystem is out of balance and your immunity is weakened, you are at risk for a fungal infection, like Candida (also known as a yeast infection). Internal yeast overgrowth is major culprit for high sebum/oil production on the face and acne. A diet high in carbohydrates + sugar. All this equates to too many people walking around with some type of gut/ intestinal health issues. Not to mention, the longer candida doesn’t get treated, the more likely a “leaky gut syndrome” will come into play. No wonder why probiotics, which includes the popular drink, kombucha to be all the talks nowadays. Probiotics help with healing the gut and killing yeast overgrowth. However, limiting or eliminating your carb and sugar (all forms, which includes honey) intake helps tremendously with someone suffering from candida. Research from Rice University shows that 70 percent of all people are affected by Candida, a systemic fungal infection. According to the molecular biologists at Rice University, Candida is common in humans and is often found in colonies in their intestines, mouths, or on their skin (acne, rosacea, eczema). We all experience stress in our daily lives, but c’mon acne related to stress? Believe it! Too much stress raises our cortisol levels (stress hormone), which in turn disrupts hormone function. When cortisol levels are raised due to stress, this makes the body resistant to other hormones and increases oxidation which is at the heart of how DNA damage is caused by these estrogen metabolites. Some individuals cope with stress by drinking alcohol, smoking and/or drug related activities. ALL of those things will aggravate your skin because they contain high sugar amounts and toxins! If your smoking- STOP! If you enjoy a couple of drinks on the weekends- try to go for the ones that do not contain any sugar such as vodka, tequila, etc. – on the rocks (or neat – however you roll) with a couple of limes usually does a trick if you don’t want to feel left out from your social circle or just want that little kick on your day off. Wines contain a lot of fermented, natural sugars, so either limit your consumption to 1 glass or stay away altogether. Beer contains gluten- so, if you have gluten sensitivity, then you should avoid. What about friends & family who have clear skin and consume the same foods, same lifestyle and no acne? Great point and one that is definitely a bit controversial. If you reside in a developed country, you must understand that unless you’re eating a completely organic, non-gmo diet, and live in a stress-free environment, then you’ve got some type of inflammation going on in your body- that’s where majority health and diseases come from – inflammation. All internal for the most part- some are of course, hereditary. All the major foods, grooming products, plastics, and environmental toxins around us are filled with hormone disrupting factors that were mentioned above. This in turn, doesn’t always create acne for individuals around us- but it does create inflammation, which then creates into a series of other health complications from small to serious. For example, a woman in her mid-30’s has endometriosis, which is linked to estrogen dominance and hormone imbalance – but never had acne. So, we know that acne is linked to excess estrogen, but again, why no acne showing up on her? The illness is attacking her internally; however, inflammation is silent and not responding, per popping up acne externally. Same root cause (hormone imbalance), but different response (endometriosis). Same logic applies to individuals that have hormone based health issues but never suffered with acneic skin. 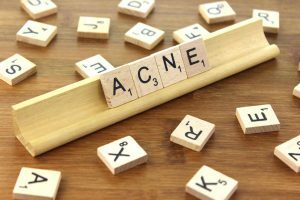 Basically, your body is responding to you through your health issues, “hey something is very wrong – fix me!” In this case, its inflammatory acne! In a sense, it’s kind of like saying “pick you poison!” What would you rather choose? Acne that’s an external skin condition or internal organ problems? Think about that one. However, we don’t get to choose what health issue pops up due to the nature of our body health structure. On the other hand, some individuals just have a strong liver that works overtime and is able to remove all the excess toxic overload from foods and hormone disrupting environment. These people usually have a strong immune system as well + contain their stress level to a minimum. Always keep in mind, everyone is different and no acne condition is the same and that’s why it’s so tricky to treat. I’ve been on the other side of the spectrum and was left confused + frustrated + angry. For the longest time, I lived under a gray cloud of oblivion but now happily living under a bright, ray of warm sunshine – all thanks to NOT giving up, even if it took 18 years of my life. NOT once, did I give up. Do you find adult acne puzzling + confusing? Share your comments below! Thank you, Colleen! Adult acne is always going to be different than teenage acne because we’re not dealing with puberty anymore. I remember my college days and how chronic acne affected me- but, I would suggest for your daughter and yourself to try limiting or eliminating sugar & soy (if drinking/consuming) intake because those things feed into inflammation internally and thus creates breakouts externally. 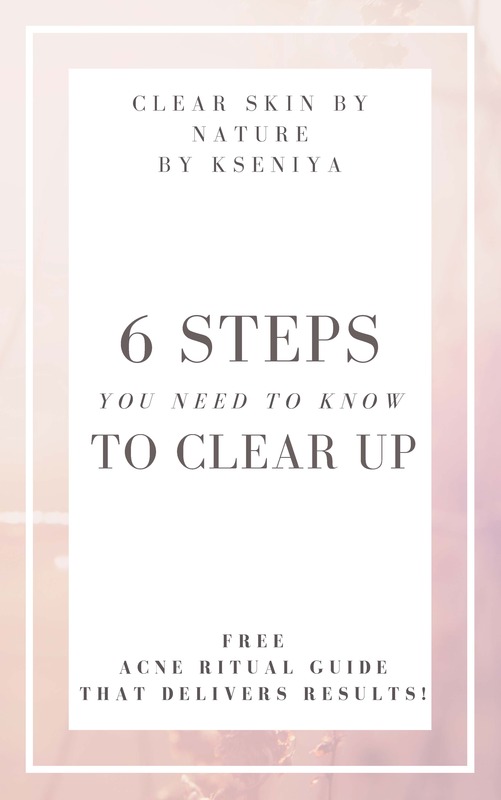 As far as topical products go – you can sign up to my newsletter (no pressure =) & its totally free) and I had a 6 step outline of where you can start on your journey to clearer skin! The most in-depth, quality article I have found on acne conditions. A great read! I’ve been struggling with acne for the best part of 20 years, all started when I was about 13 and now I’m 31. I get a few on the face and neck but mainly on my back, over the years I’ve tried the healthier eating, using different kind to skin soaps and topical creams. None have really helped that much, only direct sunlight clears it up but then a few months later it’s back! Thank you, for the kind words, Anthony! Acne is definitely a bit puzzling and effects everyone different, that’s why it can be difficult to treat. I advocate a holistic approach to treating acne from all directions and tackle it from there. To answer your question- sunlight burns the skin a bit, so to speak – therefore, it alleviates acne for the time being only! Its the same analogy when using abrasive gels and creams w/ benzoyl peroxide type – it alleviates acne just for a period of time, then it comes back. Sunlight is more natural tho! I think your case has to do with your diet – sometimes people start eating healthier and change their diet but the acne still persists because most likely they have a FOOD SENSITIVITY to something! This could be gluten, caffeine, dairy, etc. Look into that, as I think it’ll help! This is a very comprehensive and informative article about acne. I had been dealing with adult acne for many years. I changed my lifestyle and started eating organic, and eliminated inflammation causing foods and skin products. I also started taking organic sulfur as a way to detox my body and build healthy cell. My skin improved drastically. 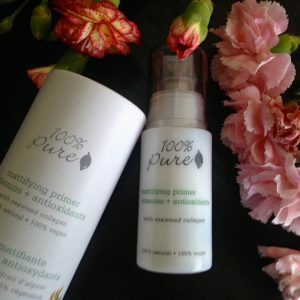 I also wrote a similar article about acne causes and a homemade recipe on how to improve acne with a facial spray and that has also clear up my acne marks. I am very passionate about natural healing. You article is well researched and put together. I certainly have enjoyed and learned a lot from your article. Thank you, Hong! Inflammation given foods are a major problem in our society and one of the sure signs is through our skin (our largest organ) – be it acne, eczema, rosacea, etc. Detox is also an important step in the process to clear up because it ‘cleans’ up the internal junk that’s been stored throughout the years. 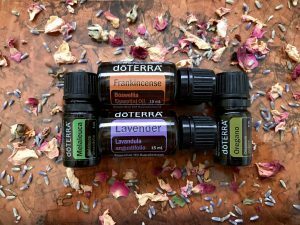 Natural/Holistic healing is a subject that I can’t seem to get enough of because there are so many wonderful remedies that absolutely work and I want the world to know its readily available if one chooses to take the route. What an eye opener. My sister has suffered for years and I wish she had read this post much earlier in life. The lifestyle all makes sense to the cause. I’ve shared this with her and thank you for putting this information out there. Its going to help a lot of people. I appreciate the share, Vince! I hope your sis will find some relief in my post – our lifestyle has everything to do with how our internal health will play out externally!